Summer was clearly the season for big buys, with the Toronto Real Estate Board (TREB) reporting a 21 per cent boost in sales in August compared to the same time last year. August’s hot market picked up where the increases in July left off, suggesting a real estate rebound. 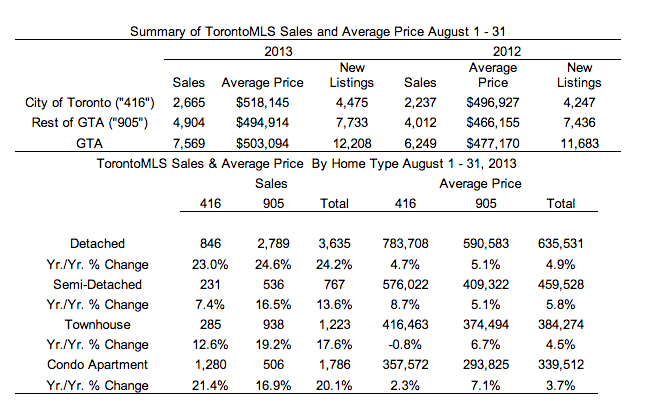 Transactions were up regardless of property type or whether the home was in Toronto-proper or the 905. The buying flurry also had an impact on prices with the new average price for a home in the GTA shooting up by nearly 5.5 per cent from $477,170 in August 2012 to $503,094 last month. “Many households have accounted for the added costs brought on by stricter mortgage lending guidelines and have reactivated their search for a home,” said Toronto Real Estate Board President Dianne Usher in the news release. In terms of sale increases across the GTA, detached homes in the 905 region saw the biggest jump in transactions, increasing by 24.6 per cent from 2012. Detached homes in Toronto followed closely behind, with a 23 per cent boost in sales from the year before. 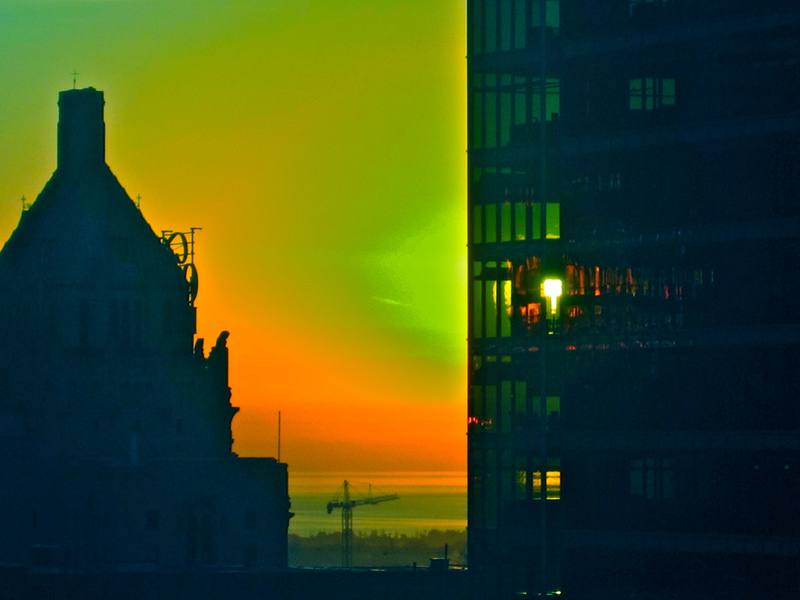 Toronto condos performed very well with a 21.4 per cent increase in sales, year-over-year. The super-tight low-rise market may have been behind the 8.7 per cent rise in prices for semi-detached homes in the 416. Condos in the 905 saw a 7.1 per cent boost in prices, rising to a new average of $293,825. Another big gainer: townhouses in the 905, which recorded a 6.7 per cent increase.